L&E Global is pleased to announce that we recently sponsored the “Day of the Company Lawyer 2016” conference hosted by the Belgian Institute for Company Lawyers (IJE | IBJ). The conference included a series of discussions on “The economy of the future – the future of the economy” from corporate, tax, banking and social law perspectives and featured a keynote address from Mr. Kris Peeters, Deputy Prime Minister and Minister of Employment, Economy and Consumer Affairs (Belgium). The Social law aspects were discussed in a duo-presentation by Mr. Chris Van Olmen, founding partner of Van Olmen & Wynant and head of the firm’s employment law practice, and Mr. Paul Windey, President of the National Labour Council (CNT | NAR – the most prestigious social law body in Belgium and the cornerstone of the Belgian social concertation model). The 2016 annual conference was held in Brussels at the headquarters of one of Belgium’s most distinguished banks. The “Day of the Company Lawyer” is an important forum that promotes cooperation between in-house corporate counsels, jurists, academics and attorneys from across the region. The 2016 conference was, once again, a huge success, with more than 250 attendees. Philippine Van Aelst, Business Development Manager at L&E Global, presented the L&E Global exhibition booth, which proved to be very popular. L&E Global’s merchandise, including the 2016 Global Handbook on Employment Litigation: Procedures, Remedies and Best Practices (this comprehensive publication includes contributions from 28 key jurisdictions across 5 continents) as well as luggage tags, brochures, travel converters, post-it cases and other gadgets that prominently feature the logos of L&E Global and Van Olmen & Wynant (L&E Global Belgium) as part of L&E Global’s combined business development and marketing strategy. This collaborative branding strategy was implemented in recent years as a result of the interest generated by attendees at this and other forums, requesting more resources and information about L&E Global. L&E Global is a proud sponsor of the Annual “Day of the Company Lawyer” and similar innovative forums, which reflect how the client-lawyer relationship is changing and how private practice and in-house lawyers, working hand-in-hand, can create value for business. 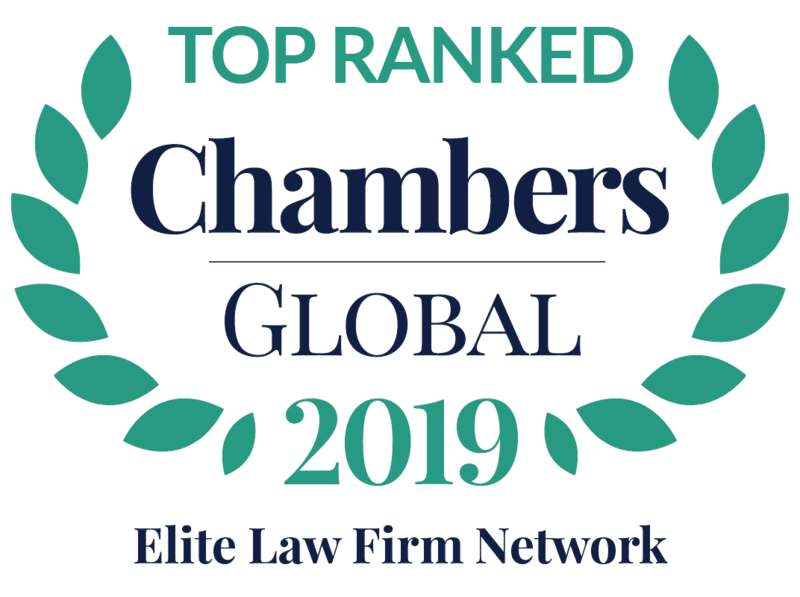 L&E Global is an international alliance of law firms, which provide counsel to employers on labour relations, employment law, immigration law and employee benefits through 23 members, which have more than 1,500 attorneys across 5 continents. As law firms and practices experienced in representing employers, L&E Global’s members work closely with corporate, legal, and human resources departments and corporate executives to address the strategic and tactical issues that arise in the workplace. L&E Global has received accolades from esteemed legal industry insiders including The Lawyer European Awards 2016 (“Global Network of the Year”), the FT Innovative Lawyers Report 2015 (“Commended” as an “Innovator in Growth and Business Development”) and Chambers Global 2016 (Band 1 Leading Law Firm Network). Van Olmen & Wynant is an independent law firm offering quality services with a personal touch and a double-niche focus on employment and corporate law. A dedicated team of experienced, multilingual professionals serves business clients in employment and corporate law and has developed distinctive expertise in the areas of private equity and venture capital, and civil servants law. Van Olmen & Wynant and its founding partners have been recognized by the IFLR1000, Chambers and Partners and The Legal 500, amongst others.